Another day of gains for Penny Stock Hybrid Fuels, Inc. (PinkSheets: HRID.PK) after HRID announced they had selected an FDA approved laboratory to manufacture their Azul Instant™ product. The best part is that Azul Instant™ will be manufactured in the USA. HRID traded as high as $0.14 in today’s trading session. HRID closing price today was $0.09, up 16.88% (+0.013). HRID traded volume of 14,776,649, $ 1,579,623 based on VWAP: 0.1069. $ 0.028 above its 5 day moving average. HRID is up 238.35% in the last two weeks. HRID has a Market Cap of $13.68M with a 152.00M Share Float. The laboratory HRID chose, based on its compliance standards, has the ability to ramp capacity quickly due to the increasing demand for the company’s Azul Instant™ product in the market. The laboratory is a cGMP (current good manufacturing practice) compliant facility and meets all FDA requirements to manufacture food supplements and over the counter pharmaceuticals. 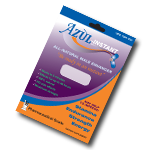 Azul Instant™ is marketed under Nouveau Life Pharmaceuticals, Inc., the Company’s pending name change. Keep HRID on the radar screen and “Be Ready in an Instant” for a dip in share price in the coming days. Last updated by Aim High Alerts at February 2, 2012 .